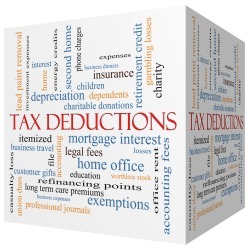 This entry was posted in Life Changes, Tax Planning, Tax Preparation, year-end tax planning and tagged child tax credit, dependents, earned income tax credit, education savings, Tax planning, tax preparers on December 26, 2018 by mk4lahrmer. This entry was posted in Life Changes, Tax Preparation and tagged dependents, divorce, joint return on March 29, 2017 by mk4lahrmer. Are you taking care of an elderly parent or relative? Whether it’s driving to doctor appointments, paying for nursing home care or medical expenses, or handling their personal finances, dealing with an elderly parent or relative can be emotionally and financially draining, especially when you are taking care of your own family as well. This entry was posted in Life Changes, Tax Planning and tagged dependents, medical expenses on February 8, 2017 by mk4lahrmer.